“Workfu” uses your connections to find you a new job. It’s still in the testing phase, but you can sign up at Workfu.com using a Twitter account. Signing up for Twitter is free. 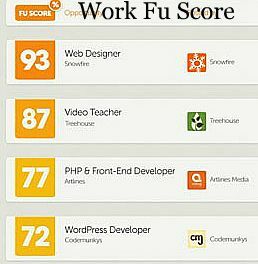 A Workfu score tells you how likely a job is to fit your needs.